Barely a month after successfully piloting Indonesia’s first government-approved drone flight for delivery, Chinese retailer JD.com has partnered with Japanese e-commerce firm Rakuten for unmanned delivery solutions in Japan. Under the agreement, JD.com said the two companies will combine its expertise in developing drones and autonomous delivery robots with Rakuten’s drone delivery service operations. Rakuten launched the Rakuten Drone delivery service in 2016, in collaboration with corporate partners and local governments. In 2018, it conducted the first delivery trial using a combination of drones and autonomous delivery robots, which it said was a step toward solving the last mile challenge for the logistics sector in Japan. JD.com, on the other hand, began developing its drone program in 2015, and launched the world’s first commercial drone deliveries in 2016 in rural China. 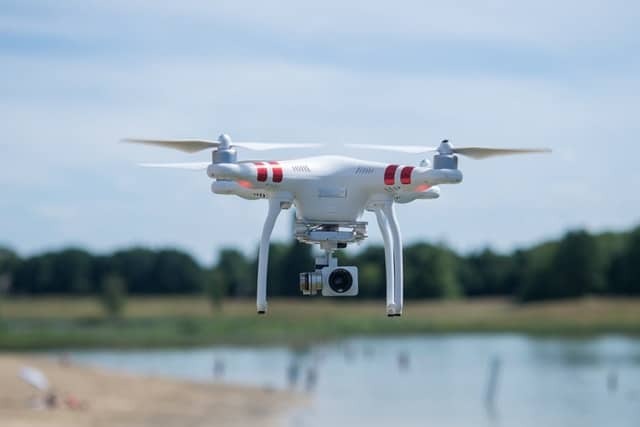 It currently operates drones in Jiangsu, Shaanxi and other provinces and claims that its drones have logged more than 400,000 minutes of flight time. “By utilizing JD.com’s drones and UGVs (unmanned ground vehicles) with the unmanned delivery solutions created by Rakuten, we hope to accelerate innovation in the Japanese logistics secto,” said Koji Ando, Group Managing Executive Officer of Rakuten Inc., in a media release. JD.com’s autonomous delivery robots are currently used in China’s urban areas in several cities and are becoming frequent sights on a number of university campuses and in office parks. It has also launched two smart delivery stations in the cities of Changsha and Hohhot, the company said. “In Japan there are many opportunities for drones to make deliveries in mountainous areas, remote islands and in emergency situations,” said Jun Xiao, president of JD-X, JD’s logistics innovation lab. In fiscal year 2018, Rakuten reported a 16.6 percent year-on-year revenue growth, with revenues climbing to JPY1.1 trillion and operating income to JPY170.4 billion. In its earnings report, it cited challenges including increased shipping costs from shipping companies, as it continues to reinforce its logistics hubs and further open up the Rakuten Ecosystem.